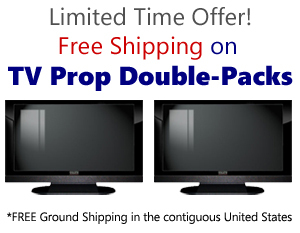 Props America televisions are realistic, durable, affordable and light weight. Our televisions are available in a variety of styles, finishes and sizes perfect for home staging, interior design and showroom environments. 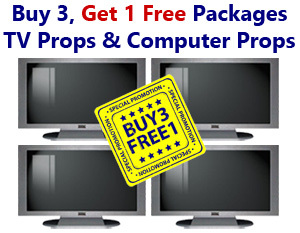 Props America is the leading television prop manufacturer in the United States & Canada. Our televisions are designed by using acrylics and plastics for a variety of finishes. 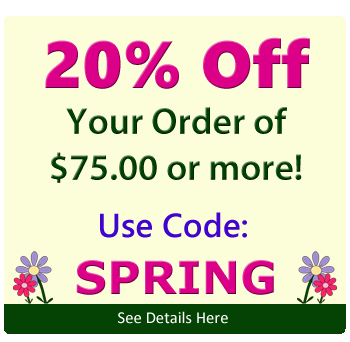 Our televisions will add value to your staging and decor projects. All television props may be wall hung or mounted on the optional base. Curved TVs are wall mountable. Available in 8 style finishes. 52" faux televisions are wall mountable. 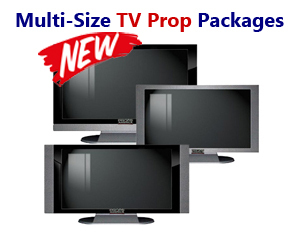 Available in Multi-Size TV Bundle! 47" faux televisions are wall mountable. 42" faux televisions are wall mountable. 37" faux televisions are wall mountable. 32" faux televisions are wall mountable. 27" faux televisions are wall mountable. 22" faux televisions are wall mountable.